Next stop was in northern Idaho to Hailey and Ketchum. I had read in my travel book, Road Trip USA by Jamie Jensen, about the cemetery where Ernest Hemingway was buried. 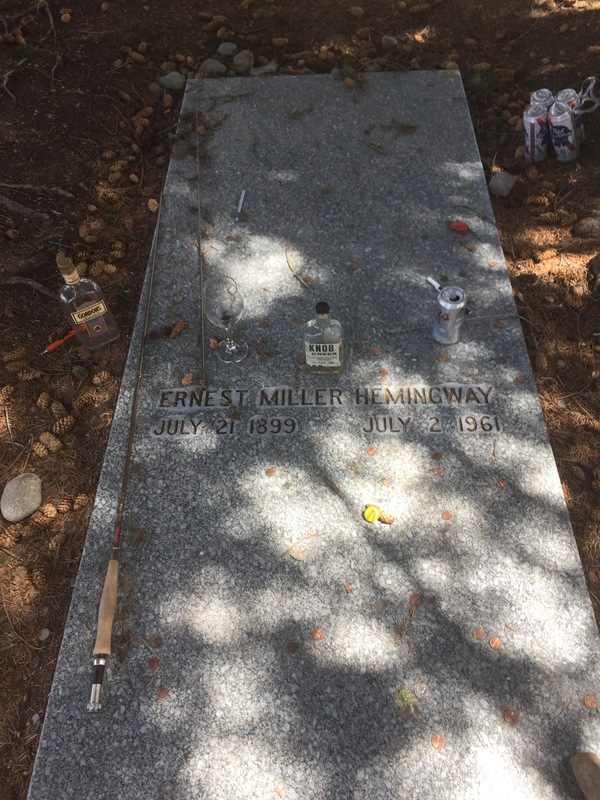 The grave stones of Ernest Hemingway and his fourth wife, Mary, are located in the small unassuming Ketchum cemetery. You would have never known such a famous author was buried there. On his grave site people have left a fly fishing rod, Pabst Blue Ribbon , Coors can, Knob Creek Bourbon, a wine glass and a writing pen. It is all just sitting atop Hemingway’s grave stone. 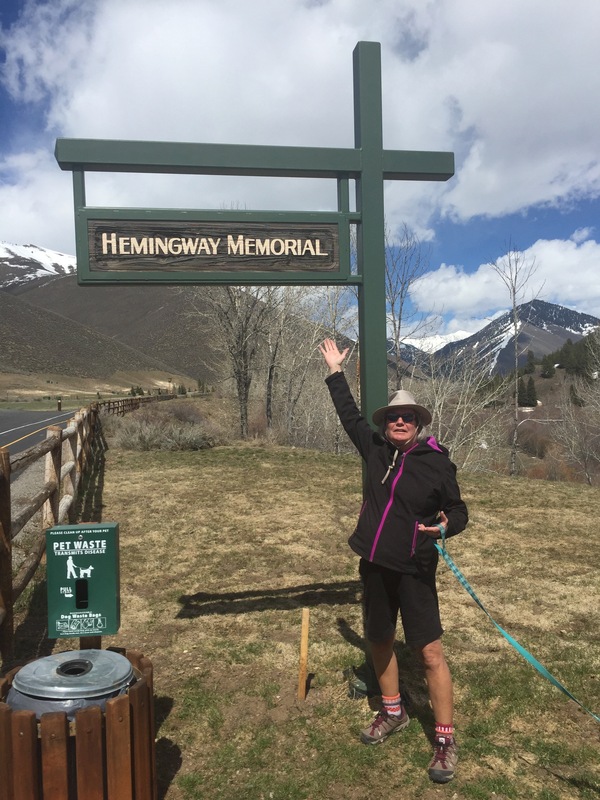 Outside of Sun Valley is the Hemingway Memorial. The sign is very hard to see, we had to go back over our tracks to find it. 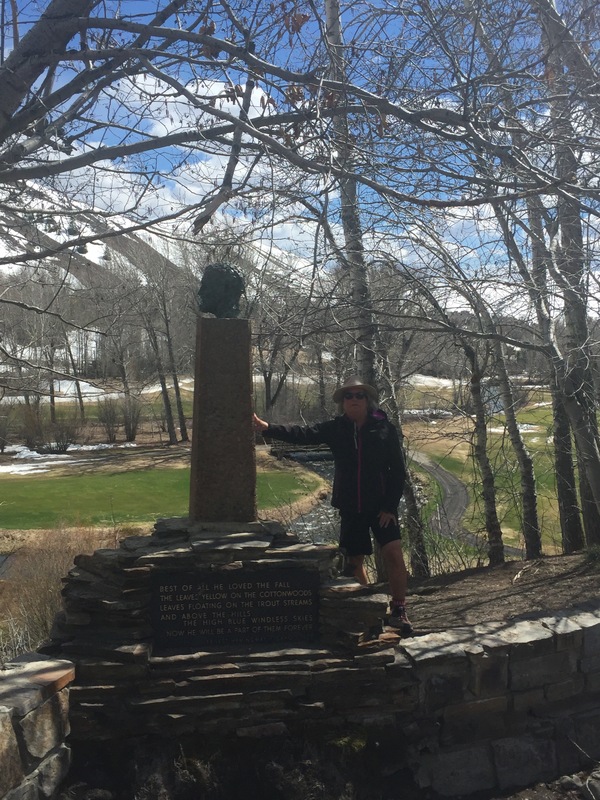 A short walk to the memorial, which overlooks the Sun Valley Golf Course, with a creek running through it where Ernest Hemingway liked to fish. 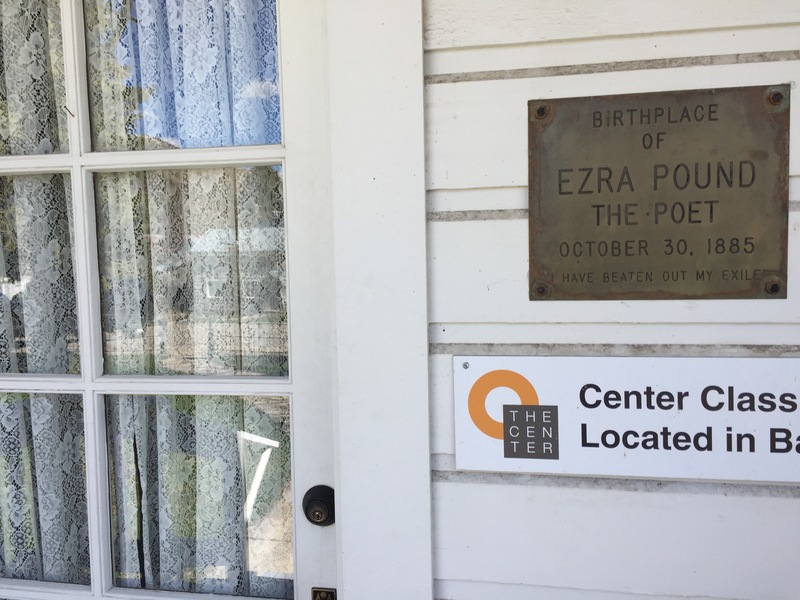 In Hailey, Idaho where Demi Moore and Bruce Willis used to live, another author named Ezra Pound, famous poet, lived as a child. 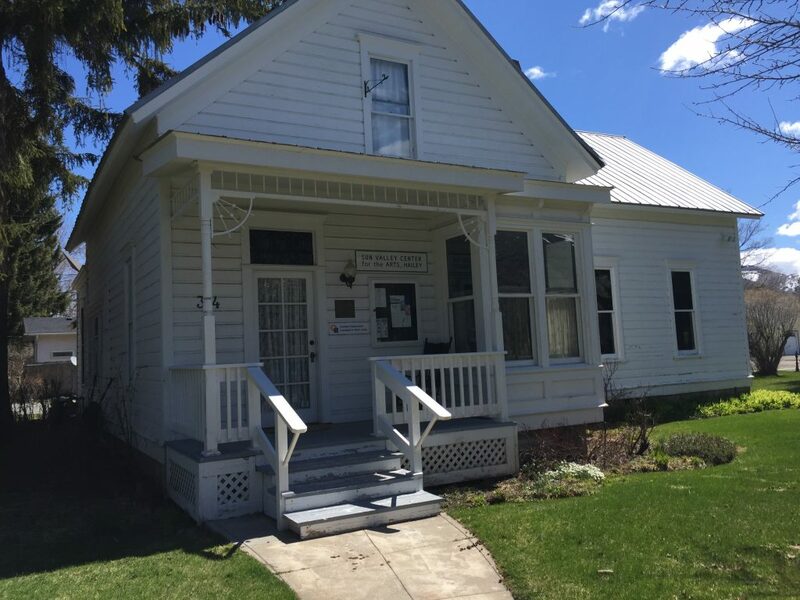 His childhood home is now a museum and you can tour it, but it wasn’t open the day we went.